While Health Canada has been working on laying regulatory framework since the federal government announced its intention to legalize Cannabis in 2015, it has been under a mandate from the Supreme Court of Canada to allow some sort of medical access to the substance since 2001. In the time since, dispensaries operating in a legal grey area have been part of the fabric of major cities like Vancouver and Toronto. In the absence of a regulatory framework, these businesses have sourced their product from independent growers, giving access to a vast range of options that the Canadian cannabis market is known for. This stands in stark contrast to the framework now enforced by Health Canada for licensed producers. Under Health Canada’s rules, licensed producers are only able to source seeds and seedlings from other producers. Only a small portion of the the genetic strains that exist in Canada are owned by the 88 currently licensed growers. The thousands of other strains are effectively off limits. Chad Jackett is the President of Cannabis Growers of Canada, an organization that represents 16 Canadian cannabis businesses that were created under the old Marihuana Medical Access Regulations. He says that, should Health Canada’s regulations become the status quo in Canada, we could see a cannabis industry with far less variety and quality than Canadian consumers are used to. “If the government laid off of the market and just got their thumb off the people and brought in some sort of sound regulation that worked for everybody and not just the big players, I think you’d see a diverse gene pool and a lot more diversity in the market,” says Jackett. Jackett speculates that the groundwork being laid by Health Canada could pave the way for a market for easily patentable genetically modified plants. “I just look at the other [agriculture] industries and it seems like there are some big players that are trying to get involved to make sure that there are all these genetically modified organisms so that they’re patented,” he says. Advocates for the free market cannabis industry like Jackett are concerned that strict regulations will make smaller operations unviable. For example, producers are required to own at least a 25-acre parcel of land for growing. A property of that size in British Columbia costs several million dollars. 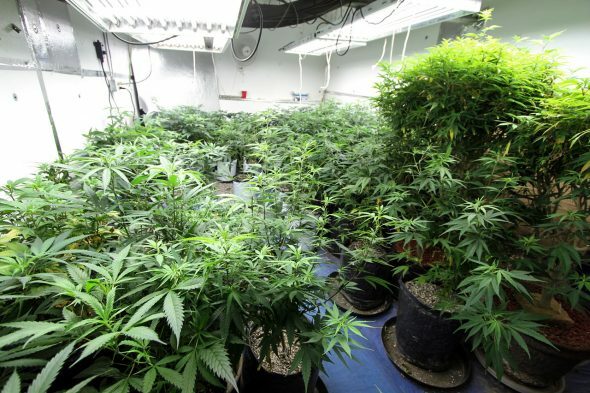 While Health Canada is planning to implement license categories for “micro-cultivation”, they will include stipulations as to who smaller growers are allowed to sell to. Jackett says that this could kill partnerships that craft growers have had for years. While Jackett recognizes the need for regulations to ensure the quality and safety of the product, he says that the regulations as they are currently written will drag down a developing market.